Home » Hostinger Review – Cheapest Shared Web Hosting in 2017? Most people struggle to choose the best hosting for their website and further development. And a majority of them fail in getting the right one. We are here to set that struggle aside and let you go through our Hostinger Review and choose if its best for you. We have already reviewed some of the hosting services providers for WordPress and web development. The first and fundamental question which arises while choosing the best hosting is that the “hosting cheap and reliable?“, to answer not only that question but also few other important aspects such as “Key Features, Benefits, Pricing, Reliability, Performace, and Support” you should read this review on Hostinger Web Hosting. They do provide Reseller Hosting on their child organization hosting24.com. They believe that there VPS hosting covers the needs fully that there is no need of Dedicated hosting. In the realm of web hosting, the Hostinger.com is making their network of the audience, customers, and fans and still standing as a big gun in the market. Reason Is that they focus on customer retention by providing not only affordable web hosting packages but also with attractive cheap pricing. Hostinger also features free web hosting for those newbie hustlers on their child web hosting platform 000webhost.com. As we say it repeatedly even though there are many companies in this industry of so-called business aka service very few of them withstand due to their unique market views and feature they provide. Very few companies stand out in giving the best standard services to people in which Hostinger is one. The reason hostinger succeeded and withstanding firmly in the market is that they are providing cheap, fast, user-friendly and very reliable web hosting stuffed with rich features. On top of it, their customer care service is a pie on a beautiful and delicious cake. To my surprise, they are very knowledgeable, understanding and very efficient in their work providing help at any time without losing their patience. Hostinger manages around 3 data centers in the US, UK, and Singapore and planning to set up one in Netherlands, over 60+ employees in the main office and more in other countries, over 130+ servers with the efficiency and the speed never going down. I’m so overwhelmed to see their servers staying at least 99.95% uptime. You can check the server stats from below in Speed and Performace. It is hard to find web hosting providers at cheap costs and with great reliability as Hostinger. KeyFeatures on why Hostinger is Cheap and Best? As soon you log in to the cPanel, a pre dashboard containing your plans will be shown to quickly manage the required service. Above of it shows you their recent updates and notifications. In the top, it has a Navigation bar letting you quickly access Hosting, VPS, Domains, SSL, Affiliates Panel and Knowledge Base/Help. On the right side on hovering the profile gravatar, you can see a menu containing your profile details, access manager to restrict the access to multiple users, login history, your activity, and feedback optin form. On to the left, you can see your server details like usage and specifications, giving you an overview of your data and server resource consumption. You will be surprised to see those many features stuffed right in that classic looking elegantly customized dashboard. ⦿Hostinger provides customized cPanel with MySQL, phpMyAdmin, Remote MySQL installed. ⦿Assign Access Control with Access Manager to restrict access to different areas of your account with various unique passwords. ⦿Unlimited Email Accounts-create and manage unlimited email accounts with advanced features. ⦿Free automatic daily, weekly Backups (varies with plans) with one-click to download. ⦿Unlimited SSD Space & Bandwidth– Unlimited always means Unmetered, you’re not going to get billed for the data you have used. But fair usage of all servers is what Hostinger mostly concentrates on and in critical situations they might top up the server configuration by adding some more resources. ⦿24×7 live chat support – To solve all of your queries. Email support is also available. ⦿Scalability– migrate from your shared hosting basic plan to other higher shared hosting plan servers with just a click. Later move on to your preferred server VPS as your website grows. ⦿Enchanced cPanel Interface – a new design with customized cPanel UI with additional tools to manage your files. ⦿Ultimate Products Management – Manage all your hosting plans, servers, domains and SSL certificates in one single place easily. ⦿Password Protect Directories – You can Set a password to limit access to your website. ⦿The HotLink Protection tool – It allows you to prevent other websites from scraping data from your site protects you from embedding or linking directly to your files. ⦿Fix File Ownership – Running a business and worried about many authors trying to edit files which they aren’t supposed to touch. With this tool, you can avoid such issues by Fixing ownership on single or multiple files to whole directories. ⦿DNS Zone Editor – Manage all of your DNS records here easily. ⦿CRON JOBS – With Cron Jobs, you can schedule any task so that it can take place at predefined times on the server. ⦿Provides SSL Certificates for Premium & Business tier plans to encrypt the connection between server and visitor. ⦿Wp-CLI & SSH Access – enable or disable Wp-CLI & SSH access on your hosting account. SSH allows secure file transfer and remote logins over the internet. And Wp-Cli allows you to manage files entirely, backup them over SSL without any logins. ⦿GitHub Repository Support – Deploy any Github application from the GitHub repository itself, such features are rare to see in any hosting companies. Hostinger is offering Shared web hosting and also WordPress web hosting. Both are shared web hosting and has similar pricing and almost similar features. Differences are wordpress hosting having Wp-Cli and SSH pre-enabled. Have a look at the above image. You will get an overview of the Hostinger’s shared hosting plans. These plans are updated ones with a price reduction as a promotional offer, and we don’t have a track of these promotional discount offer validity yet. We will be updating the features, pricing, and plans continuously. ⦿ This is the cheapest plan available in Hostinger, and it supports only 1 website at $2.15/mo. ⦿ This plan is for them who are new to the market and have no clue about where to start. Thus a small push is what they need. ⦿ Starter package provides around 10GB of disk space. Around 100GB Bandwidth. ⦿ Mail-box of 200MB in size which is more than required. ⦿ Standard Processing Power & Memory, Standard WordPress Optimisation Speed. ⦿ Most attractive things included are Hostinger’s very own customized cPanel, Easy Zyro Website Builder, weekly backups, FTP access and 1 Email account. ⦿ Weekly backups are automatically provided to download in a click. This plan doesn’t come with Wp-Cli & SSH Enabled and also you have to buy domain separately which costs you around 10+ bucks. So, if you’re planning to host more than one website, I will suggest you opt the second package instead of this one which is not only top selling but also the best package for any small business. ⦿ This is a very modest plan in Hostinger, and it supports unlimited websites at $3.49/mo. ⦿ For small businesses, who are willing to increase their site traffic gradually from zero. This is the hosting which they have to choose. The reason is the flexibility you get to upgrade to Business plan or VPS if your site is getting a lot of traffic gradually. ⦿ This package provides Unlimited SSD space, Unlimited bandwidth, Unlimited sites to host, Unlimited MySQL, FTP & email accounts. ⦿ Mail-box of whopping 10GB in size which is more than required. ⦿ Standard Processing Power & Memory with 3x WordPress speed optimization. ⦿ Almost 90+ Auto Installer apps within your cPanel dashboard are waiting for your one-click to download and install. ⦿ You will get a free primary domain name registration for a year, and the renewal goes around 10$ approximately. ⦿ This is the Ultimate plan available on Hostinger providing unlimited websites at $7.95/mo. ⦿ This plan is for those who are running the business in large scales, expecting high traffic on their multiple sites. ⦿ Mostly this plan is customized to handle high traffic, if you still feel to be isolated from a shared server to a dedicated one, then Hostinger’s very own VPS servers are the choice for you. ⦿ A free lifetime SSL certification is granted with this plan. ⦿ Whopping 15GB of Mail-box is provided. ⦿ Free domain name registration for a year, renewal prices are around $10 approx. ⦿ Daily backups are automatically provided to download in a click. ⦿ 2x Processing Power & Memory with 5x WordPress speed optimization. Here, I’m going to share the test results on my website which was hosted on Hostinger. Their cloud-based server infrastructure has more power than you can imagine. They hold up only three data centers in the US, UK, and Singapore. To be honest, server overall uptime was around 99.95%, but most of the time the server was maintained at 100% without any Downtimes. It was consistent and regulated very cleverly at low upkeeps. Even though there are only 3 data centers, due to better server management of those powerful servers the overall server response times were around 0.4 seconds. The response times are consistent which are not even a second. So assuming those servers are working at amazing speeds, providing enough data travel speeds where even a remote country user can access the site without any data packet loss and without any speed issues. Seems like there are no magical steps to build a responsive and attractive website which is SEO ready. Edit your site live with Free Zyro Easy Builder as you will directly land to a live version of your site, where you can start editing from scratch or choose from the templates. This website builder has located its elements on top, Drag and drop elements from above. Well, it’s my personal choice to have a website builder elements to be on the bottom rather than on top. This builder seems to be little different from other site builders, though initially you will be confused to use it as the practice happens you will be more productive. First of all, as Zyro website builder is being a third party feature which is being clubbed and provided with all Hostinger hosting plans is not easy to control how it functions. To be fair, you will get amused with the 200 inbuilt templates which are provided. Templates can be chosen from 13 categories which suit almost all types of website designs. Hostinger provides domain registrations for all major TLD’s options along with major country level domains. But their domain name checker is a regular domain suggestion tool, most of the times won’t suggest you different or unique domain names if you have entered multiple keywords. Domain renewals are ranging from cheap 0.99$/year to 23$/year. Hostinger also provides 1.111B Class .xyz domains at 99 cents. Hostinger provides Free SSL Certificate for a lifetime to all Business Plan customers. Whereas Premium and Single hosting user can buy the SSL certificate (Lifetime) for $9.99 at a 50% discount right now. The reason for which hostinger might haven’t included SSL certificate for free to all the users because of the price point. They are not trying to dig a hole in your pocket, as you can see SSL for $9.99 bucks for a lifetime. So, there will be no yearly payments or any more braggings. If you’re still interested in self-certified free SSL then you should check out Lets Encrypt SSL & CloudFlare SSL. BitNinja Smart Security – Security of your server is something you should be worried about majorly. Well, Hostinger takes security in a serious way, not only securing the server but also protecting sensitive information like login credentials from being theft. With BitNinja pre-installed protect your servers against many threats like e-mail harvesting bots, automatic spammers, botnets trying to expand or attack, brute-force, MITMs, etc. SpamAssassin Protection – Ever used Akismet? SpamAssassin works similar to Akismet, where Akismet scans and protects your wordpress blogs from being spammed through comments, whereas SpamAssassin scans your incoming emails and filters the real emails from the spam ones. Hostinger provides SpamAssassin inbuilt pre-installed. Security does mean getting secured from all sorts of attacks, one sort of attack from which I was so worried from the beginning was social engineering. Their technical support and server management team takes care that spam is not reaching their clients. But what about their customer care getting tricked by someone who is faking your identity (even your friend or neighbor who has access to your PC) and stealing the sensible data from them. Which is not a good thing and results in losing the clients trust. First of all, customer care does check if the client is contacting them from the member’s area (from last week it is not possible for guests to contact us via live chat). secondly, they check if details the person has provided matches with their records which also includes IP address. However, they will ask for payment id or order id, email id and for some specific information. However, they will ask for payment id or order id, email id and for some specific information. Their security system policies are so strong, even if a genuine client won’t provide the required info they won’t authenticate the ownership and reject the request from providing further details. Payments are also placed under security because the flexibility hostinger providing in payment options. Not only PayPal & credit cards, hostinger also accepts payments via bitcoin. Which just shows how updated their policies are which understands the digital cryptocurrency importance. Hostinger is providing high-quality blog posts written by very skilled writers. Articles are very informative and have a learning curve. Even a newbie can understand and learn things from scratch. They are providing 100’s of custom written articles in the Tutorials section. They lack videos tutorials, most of the newbies find it difficult to follow an article rather than a video. Click on that hostinger dinosaur mascot, you can find the questions related to your doubts. You can search frequently asked questions in the search box and find the appropriate article for your need. Hostinger customer care had won me in terms of data security, and information accuracy. If you’re a not a hostinger user then you can email them support@hostinger.com. Well, if you’re a hostinger user, after logging into cPanel in the right side bottom you can see a cute dinosaur mascot with “Need Help?“. So, click that button then on “Lets Chat” option within 5 minutes you will be connected to the agent. Agents were highly knowledgeable, can solve your queries within minutes. Their writing styles are casual and professional at equal proportions. Almost all problems are going to get solved in chat, sometimes they will request you to raise a support ticket. A support ticket can be raised from the Help Desk, it will let them solve major issues with easy follow-ups. While there is no phone support is available at the moment but might be implemented in the future. In conclusion, Hostinger had surprised me over the features it is providing at the low price point. Yes, it is one of the cheap web hostings providers. It has a cloud-based infrastructure, which is reliable, has high speed and trustworthy. Easy to use with its cPanel and also the site builder, suitable for beginners at the same time to professionals. Uptimes are far better than any other hosting service provider. Providing a basic security does comes under their norms, letting me believe their perspective over clients sensible information. Their support team does a fabulous amount of work which had amused me a lot.As a result of my tests, I can conclude that Hostinger is providing a reliable, fast and cheap shared web hosting and wordpress hosting. 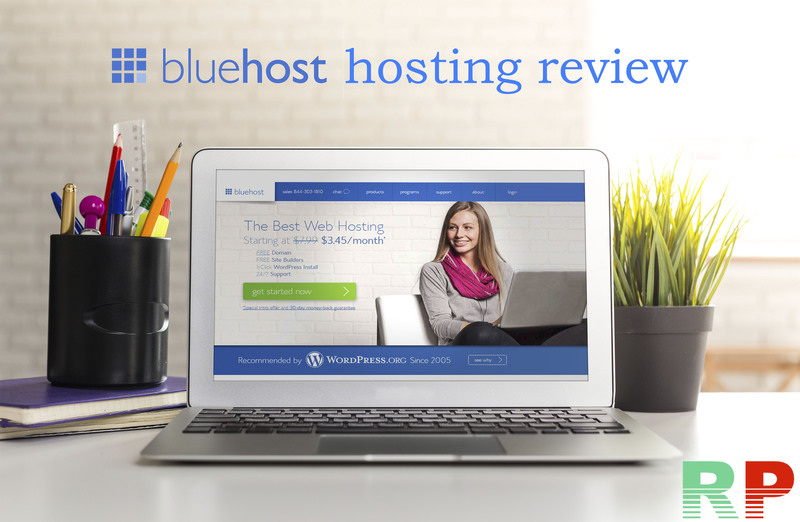 Hostinger Review >> Plain in Hostinger Review with in-depth insights will help you decide whether it is the best shared web hosting or not. Uptime, Speed. I was surprised, really surprised when I saw the unlimited plans of hostinger. For a moment, I thought that someone might be kidding me, but it was “unbelievably real”. I was unable to believe the plans that hostinger provides at so much cheaper rates. But then, I was a bit concerned about the speed, I wasn’t sure if the speed would be up to the mark or not. SO I tried hostinger to check if everything is “significantly as described” or not. UNBELIEVABLE!!! I found that it’s really real! Thank You so much hostinger for such amazing services that you render. I love you!!! I have been using hostinger since a long time and I must say – it’s phenomenal! Trust me, They are the best hosting service providers I have seen so long and that far. I had my sites hosted by a couple of other hosting sites – bu t none was able to fulfil me in a way that “Hostinger” always does. Hostinger never misses even a small chance to make their customer “overly happy”. If you are planning to host any of your sites – please consider hostinger at least once, I bet you will never ever look back! Hostinger is the king of web hosting providers according to me because it comes with great features as you outlined above. I like it so much because I am a successful customer for over a year and I have got some good results with it. hii. Ive been using hostinger hosting service . I choose this service for their support type,price and quality. Im very much happy with their services till now. I am fully satisfied with the service of Hostinger. I amazes with lots of features in an affortable price. Support always response on time and it is very easy to use. Its the best web host I have ever used.